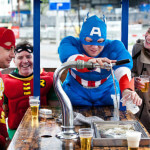 Car Smash Amsterdam is one of the newest and best activities for a stag do in Amsterdam! Destroy a car with a range of weapons, such as a baseball bat, golf club, sledge hammer etc.. On the car scrap yard you can unleash your anger and smash that car with your friends. 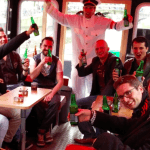 It is a little anger management for your stag do in Amsterdam! 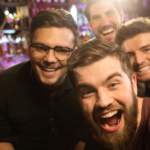 Car Smash Amsterdam is a one of a kind bachelor party activity, so come along with your friends and smash that car! Because we take your safety very seriously, protective clothes and glasses are provided. And it is not allowed to consume any alcohol prior to the activity. ▪ Price | € 45,- p.p. ▪ Due to the nature of the activity it is not allowed to consume alcohol prior to taking part. ▪ You will be asked to sign a liability waiver before taking part. ▪ Depending on the amount of people Car Smash Amsterdam activity takes around 90 minutes. ▪ The venue is approx. 30 minutes from the centre of Amsterdam. ▪ Return transfers can be added for an additional fee. Please let us know if interested. * 8 is the minimum amount of people for Car Smash Amsterdam. It is possible to play with less than 8, but you need to pay for 8 people. 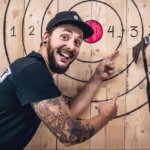 When you are interested in other activities next to Car Smash Amsterdam we can also recommend you our Amsterdam Highland Games, Indoor Target Shooting or Urban Axe Throwing. Feel free to contact us when you have any questions or get a quote when you are interested in Car Smash Amsterdam.